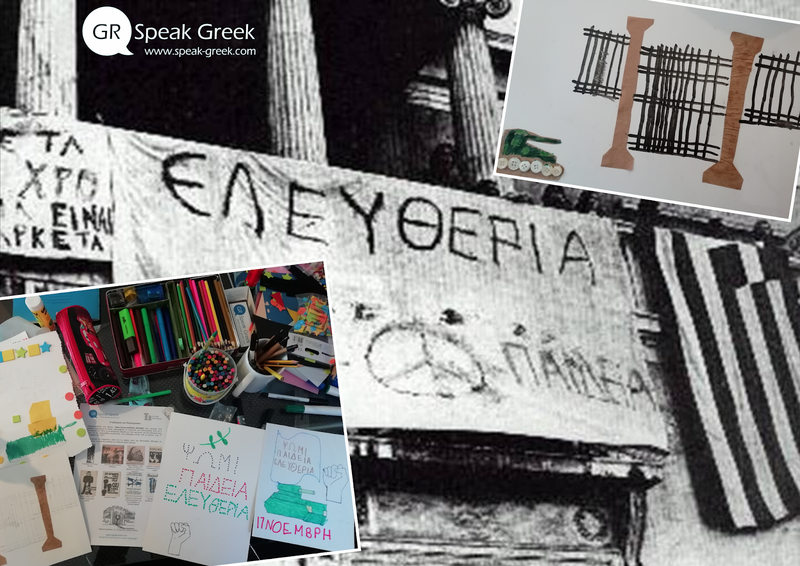 Our students who attend the support groups of the Greek language and Culture learned about the massive demonstration of popular rejection of the Greek military junta of 1967–1974. The uprising began on November 14, 1973, escalated to an open anti-junta revolt, and ended in bloodshed in the early morning of November 17 after a series of events starting with a tank crashing through the gates of the Polytechnic. 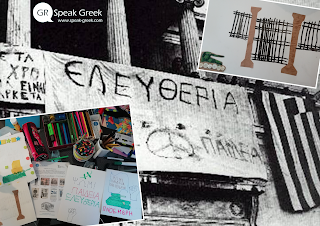 At the end of the lesson, students created their own posters about the anti-dictatorial fight.